TOKYO -- Kobe Steel is seeking 50 billion yen ($440 million) in loans from banks, a source said, while a shareholder said it was ready to offer assistance as the company grapples with a scandal over falsified product specifications. The company also pulled its forecast for a first annual profit in three years while it deals with the financial impact of one of Japan's biggest corporate scandals. Kobe Steel is losing customers and said on Friday it had the government-sanctioned seal of quality revoked on some of its products. The steelmaker's admission earlier this month that it had found widespread tampering in specifications has sent automakers and companies in global supply chains scrambling to check whether the safety or performance of their products has been compromised. While no safety issues have been identified, Kobe Steel's parts and materials are used across the world in cars, trains, airplanes and other equipment. The Nikkei business daily reported earlier that Mizuho Bank, Sumitomo Mitsui Banking and Bank of Tokyo-Mitsubishi UFJ are considering loans to the steelmaker. Kobe Steel Managing Executive Officer Kazuaki Kawahara confirmed at an earnings briefing later on Monday that the company was in loan talks with banks but did not provide details. 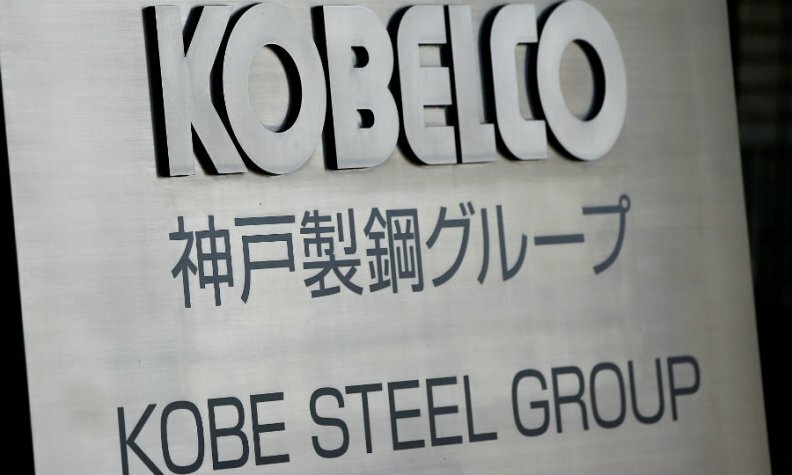 Executive Vice President Naoto Umehara said that Kobe Steel will continue generating cash on its own to cover expenses from the data falsification as well as for capital investment. He said the misconduct would likely reduce its recurring profit by 10 billion yen in the full 2017/18 financial year. The company however cut its forecast for recurring profit in the year by 5 billion yen to 50 billion yen because of better-than-expected earnings in the first half. Rival steelmaker, Nippon Steel & Sumitomo Metal said on Monday it will provide support to its smaller rival if requested. Nippon Steel has a 2.95 percent stake in Kobe Steel. "We will consider and respond if we receive any requests from Kobe Steel for help," Nippon Steel President Kosei Shindo told a news conference, adding that his company has not received any request. The companies have an alliance that involves cooperating on steel supplies during shortages or maintenance of factories, while Kobe Steel has a 0.71 percent stake in Nippon Steel. Kobe Steel repaid a 20-billion-yen bond that came due on Friday, a spokesman said on Monday. But it cancelled plans to pay a dividend on its first-half results. The company said it had net profit of nearly 40 billion yen in the April to September period. The results do not include any financial impact from the cheating. Kobe Steel forecast in July that it would earn net profit of 35 billion yen in the year through March 2018 after two years of losses. Kobe Steel's market value has slumped by about $1.5 billion since it said in early October it had found widespread tampering of product specifications in its aluminum and copper business. The cheating has since been found across its businesses.